I love my motorcycle, I love riding my motorcycle, but I also love working on motorcycles. There is an incredible sense of satisfaction you get working on a bike. Wether it’s preforming basic maintenance like an oil change, or installing a new exhaust system or for the more advanced getting that project bike on the running, the knowledge that you did it you self makes the bike more than just a machine, it becomes a part of you an extension of you. Neither Carly or I are in any way, shape or form bike mechanics (find a good one and keep them close!) but we both love to spend time in the garage working on our bikes. Truth be told we prefer upgrading or style changes over maintenance but the end result is the same, when were done the next ride is always sweeter because you look at your bike and think, I did that! If you’re looking to learn to do your own oil changes or how to handle some basic repairs in case of a break down but have no real experience working on bikes, first you’ll need to upgrade your wrenching skills. The crew Moto Revere DIY Garage in Toronto can help. 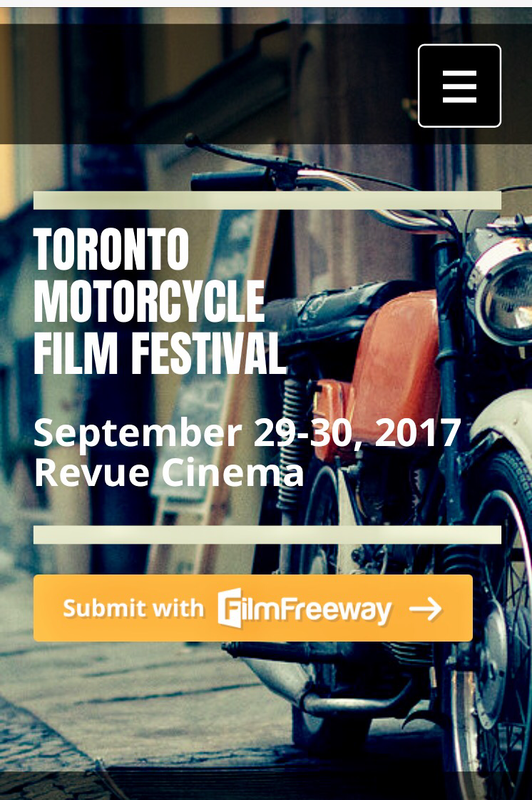 Mark your calendars moto folks, Toronto is getting a motorcycle film festival! September 29-30, 2017 the Revue Cinema which is a cool venue all on its own will play host to another rad Moto event. It’s so great to see the growth of the motorcycle community in Toronto and across Canada in recent years and this event is sure to bring out lots of great people to celebrate the machines we all love. The festival is looking to showcase the best narrative and documentary motorcycle films and is open to submissions from anywhere in the world. If you’re a film maker or think your GoPro / Moto Vlog game is on point you can submit your film for inclusion in the festival. Submitions are due by June 30th. We can’t wait to see what films are announced as part on the line up and will definitely be checking this event out. Maybe a pre festival ride/meet up is on order? ?